Soy ink (soy tinta) is a form of non-food soy. It is an environmentally friendly, healthy, and a safe approach to printing that takes only a small amount of energy to make. 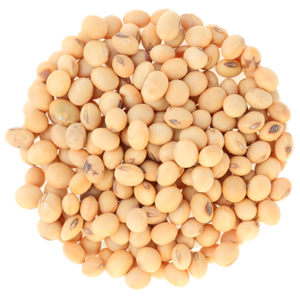 In fact, soybeans only use about 0.5 percent of the total energy that is needed to create the ink. Soy ink is also a helpful component in paper recycling. It helps in this process because the soy ink can be removed more easily than regular ink can be taken out of paper during the de-inking process of recycling. Using recycled paper reduces the pressure on the world's forests because recycled paper is made from paper, not from trees. 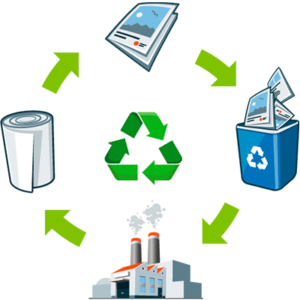 Recycled paper requires much less energy to produce, uses less water, saves on landfill space, requires fewer chemicals, and significantly decreases air and water pollution.